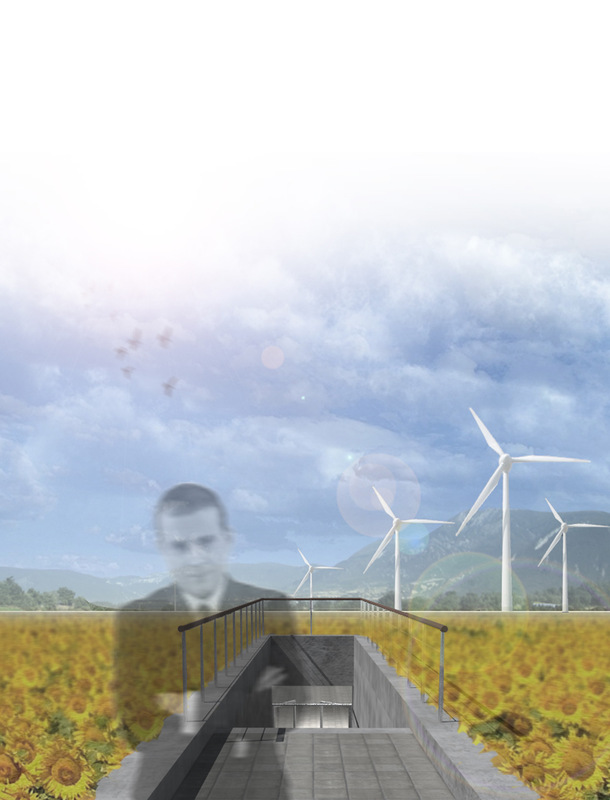 The aim of this project is to create awareness of the environment and the need of a culture around the sustainable energies. The intervention on the natural environment is the minimum possible in order to allow the nature and memory preservation. The topographical intervention recovers the original terraces. The program has two branches which are constantly interrelating with each other. First, the park considered as a free place for students of different levels, from elementary to university undergraduates or post graduates, also neighbours and weekend visitors; and second, the renewable energies placed all over the park. Two branches that effectively work together with the environment to educate promote and show. All the different buildings and service areas of the park would run 100% off the grid, would be only provided by the renewable energy generated on the park. 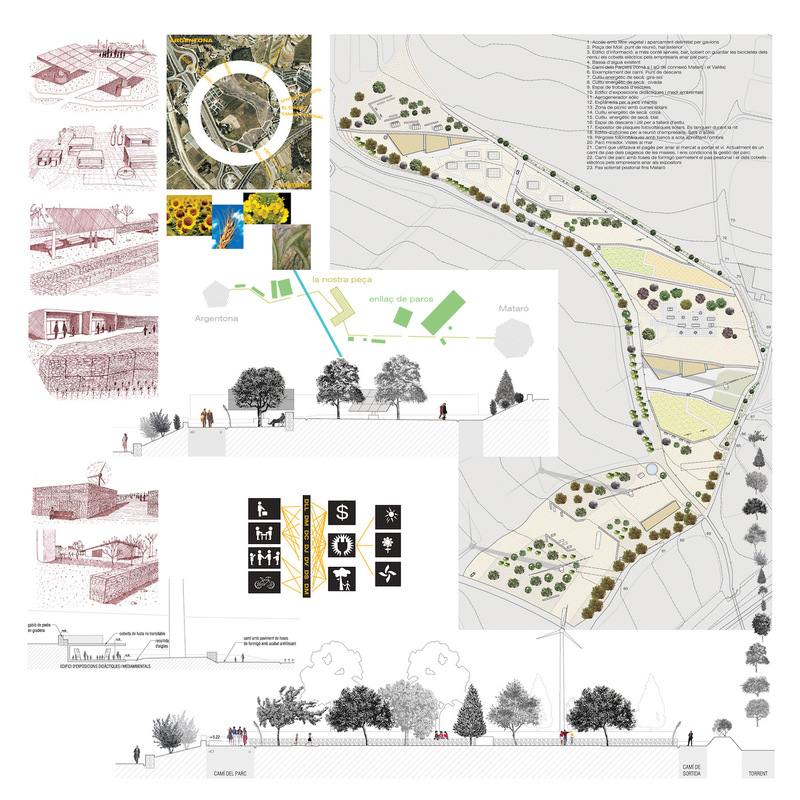 The project seeks the combination of a leisure space and a productive landscape. It creates awareness on the issue of renewable energies to all its visitors where they can see this type of technologies working on and are shown also for business man. The site, which is now wasted, becomes an opportunity, a park of energy and education. Prizes First Prize Winner of Sustainability Architecture Contest Etsav 2007.